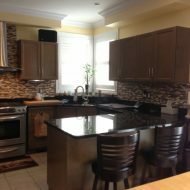 The kitchen is a place where your family’s meals will be prepared. 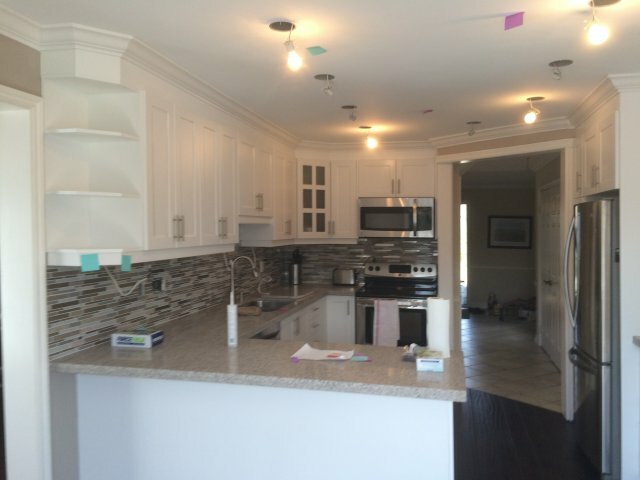 You need to have enough storage to have everything kept neatly. 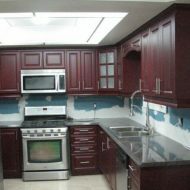 There are three different ways that we can customize your home’s kitchen storage. 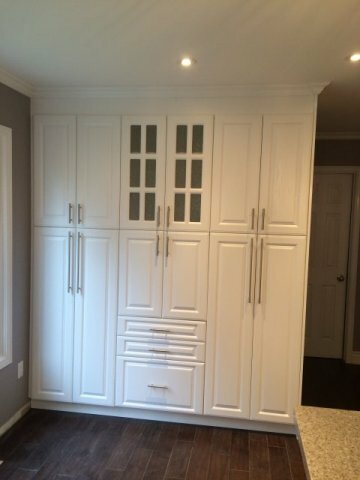 Pantry: First of all, Orange Contracting can add a pantry into your home. 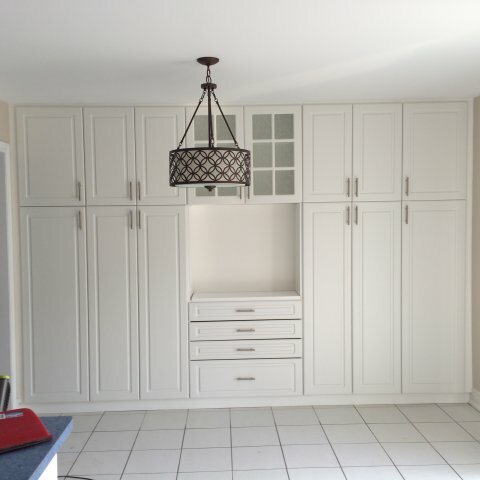 Many homes come with a pantry, but you may want yours expanded or the shelving maximized. 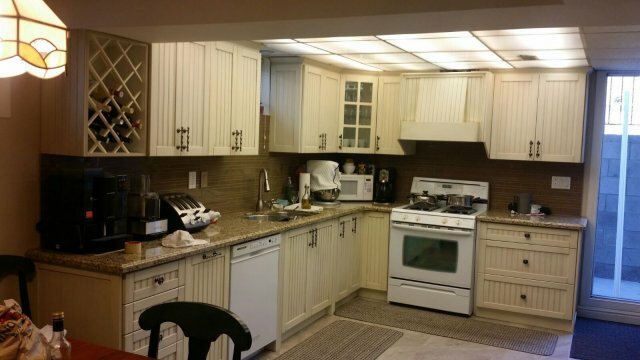 Sometimes, those top shelves are simply too deep to really reach their maximum capacity. 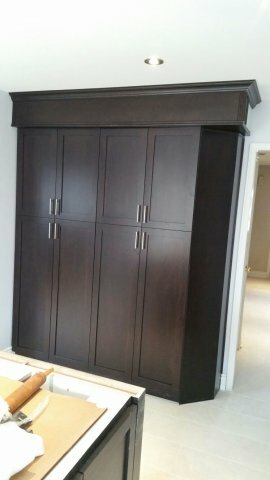 We can work with you on creating a pantry that will fully store your family’s food. 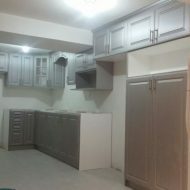 Shelving: Next, we can add some shelving in your kitchen. 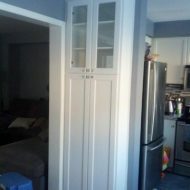 Shelving are basic shelves, either a standalone piece, or something built into the wall. 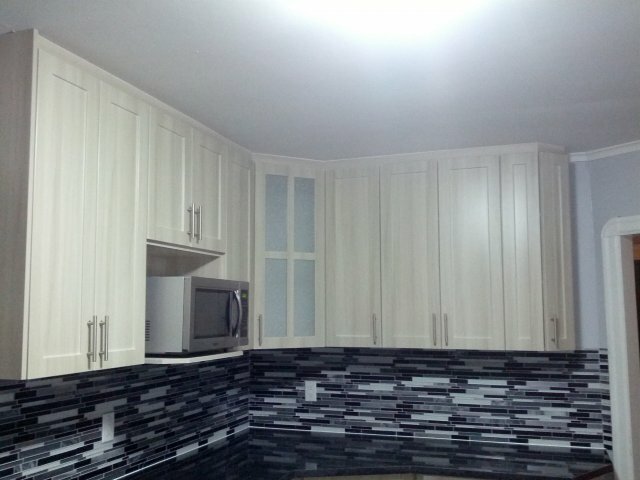 Color, size, and style are up to you. 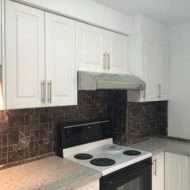 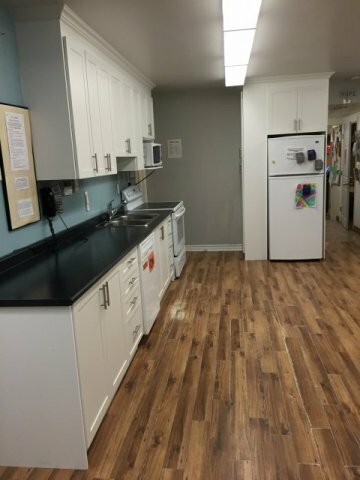 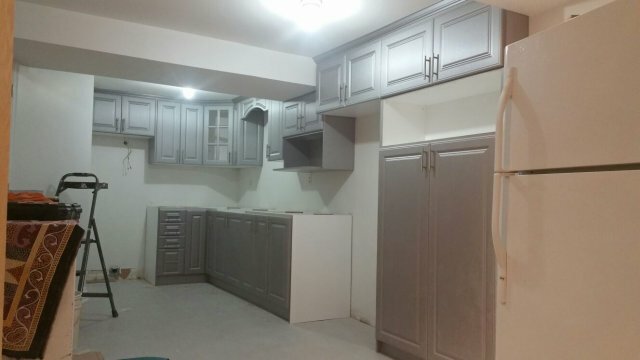 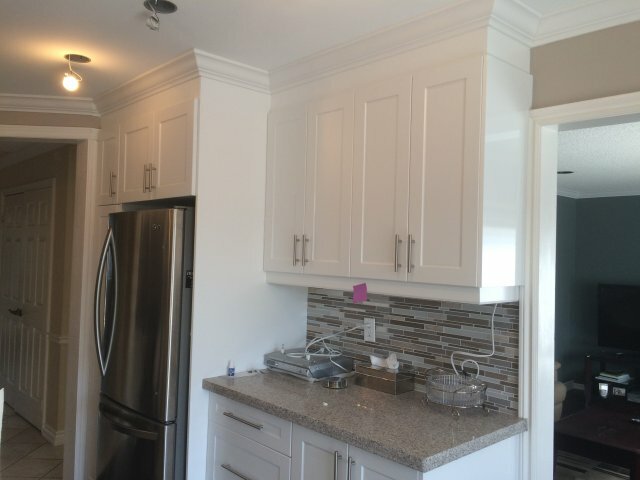 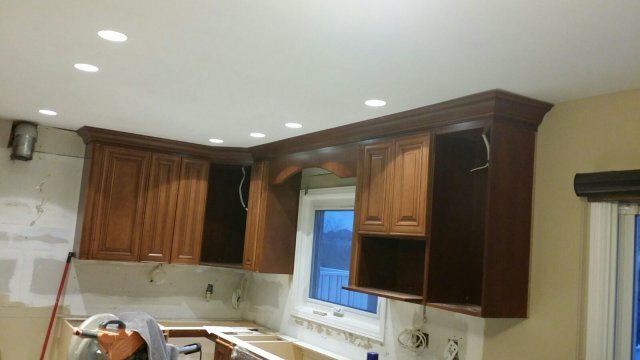 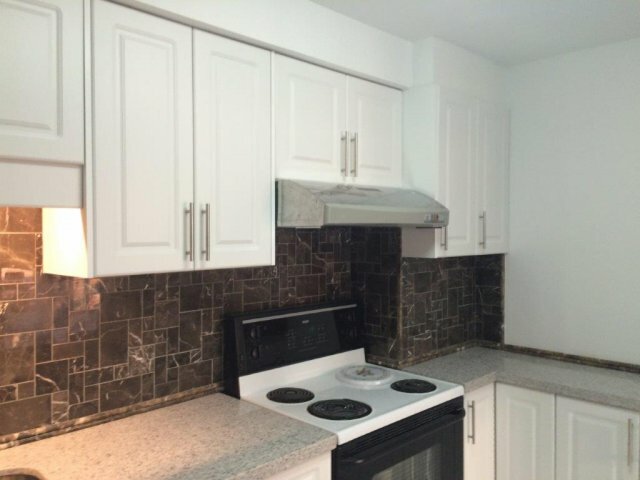 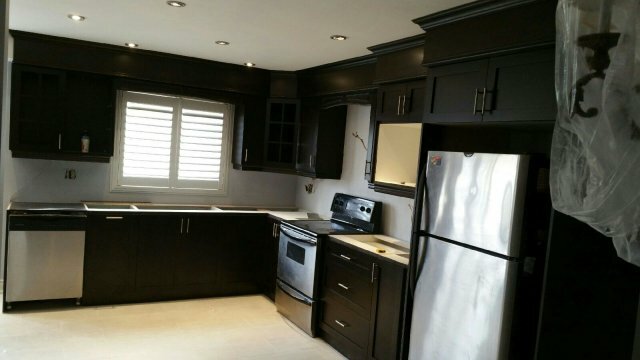 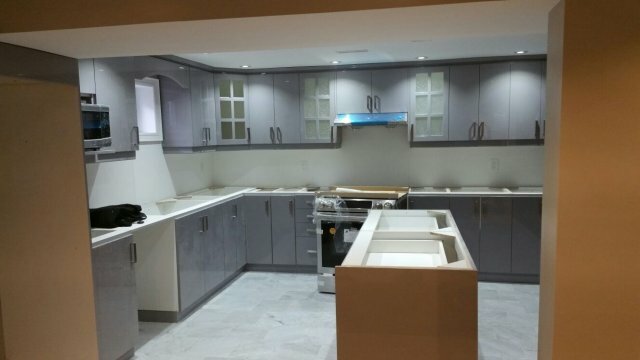 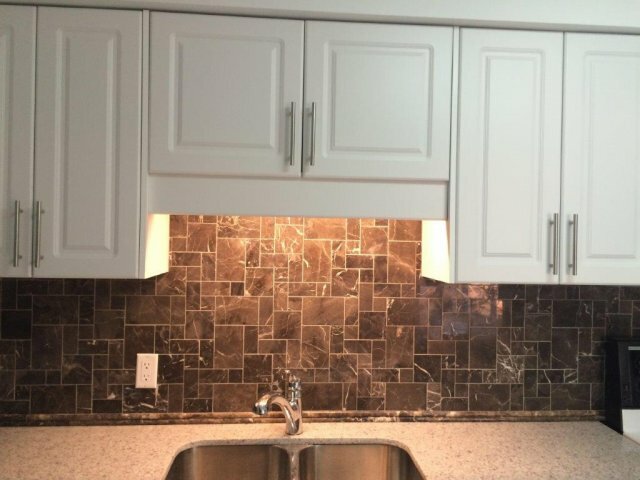 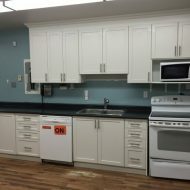 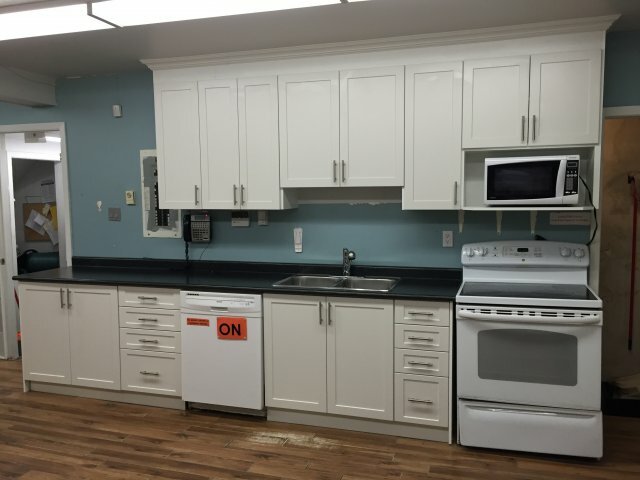 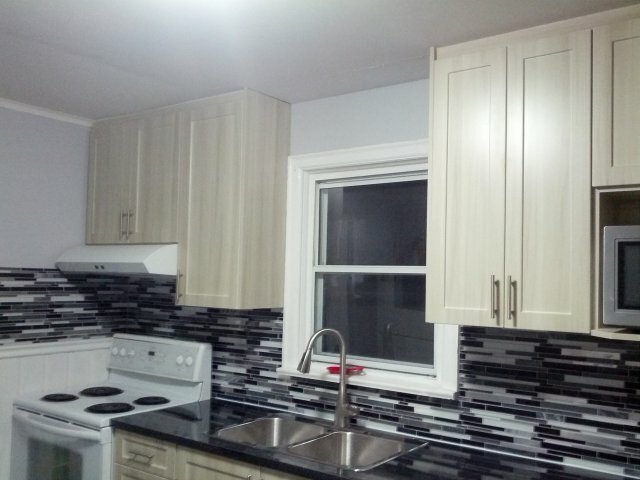 Cabinets: Last of all, we can put cabinets in your kitchen. 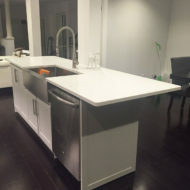 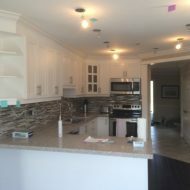 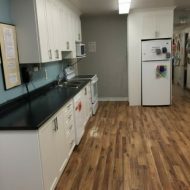 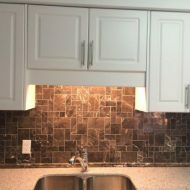 You may want completely new cabinets or you may choose to have your cabinet doors replaced with a glass door or something a little more formal. 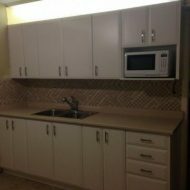 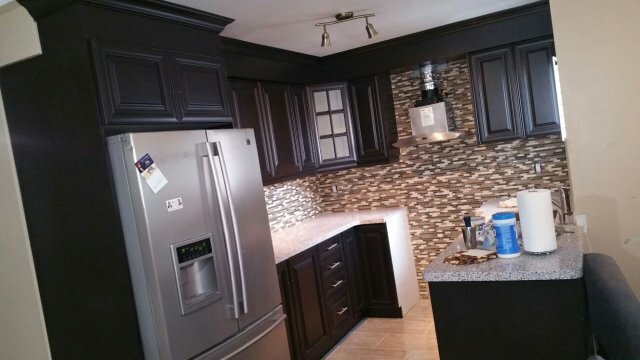 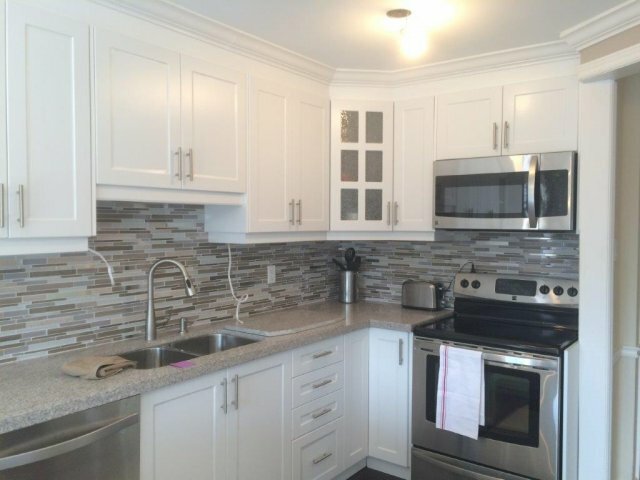 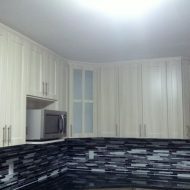 There are several types of cabinets that we can work to incorporate in your home. 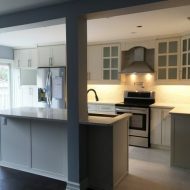 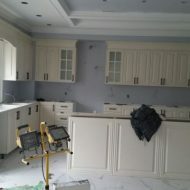 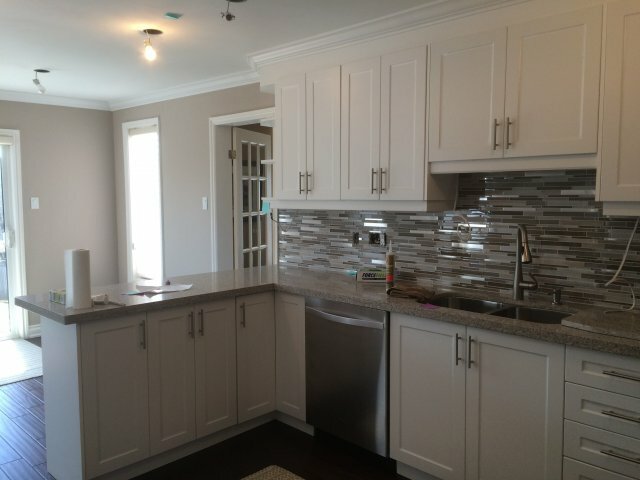 Base cabinetry are the cabinets that are set onto the floor. 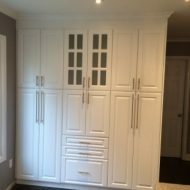 They are generally between twenty-four and twenty-seven inches deep, though once again, these cabinets will be made to your specifications. 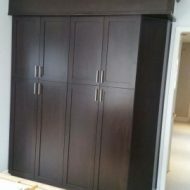 Wall cabinets are hanging cabinets and are usually no deeper than twelve inches. 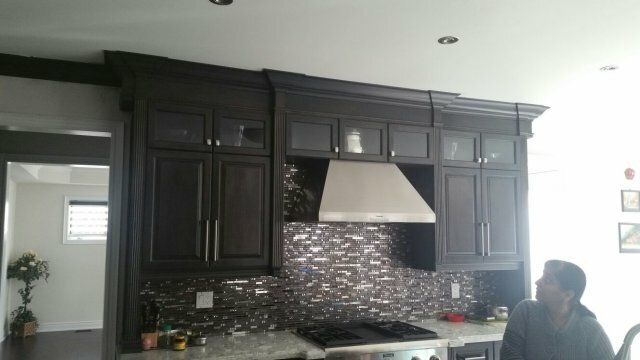 Tall cabinets can be as long as seven feet. You might choose to have a cabinet like this for brooms, mops, or stools. 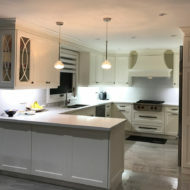 There are four major kitchen design styles used when referring to kitchen. 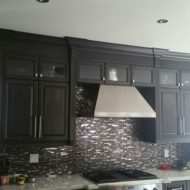 While your kitchen can carry a design, most of the design will be found in the cabinets. 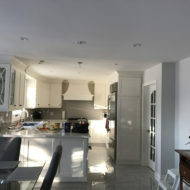 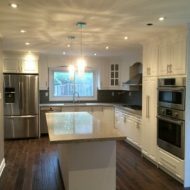 Knowing the designs thoroughly can help the renovation process move more quickly. The traditional style is inspired by historical American and European tastes, specifically in the 18th and 19th centuries. 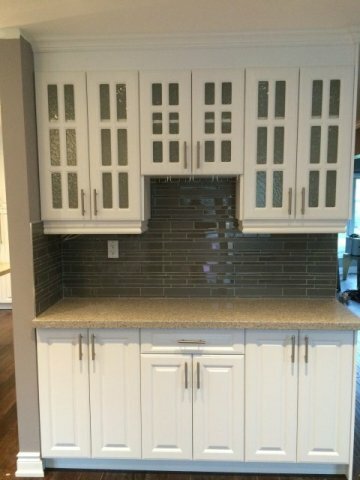 These traditional styles typically have a few identifying features: raised panel cabinet door style, wood that is cherry or mahogany, and ornamented with flute or molding. 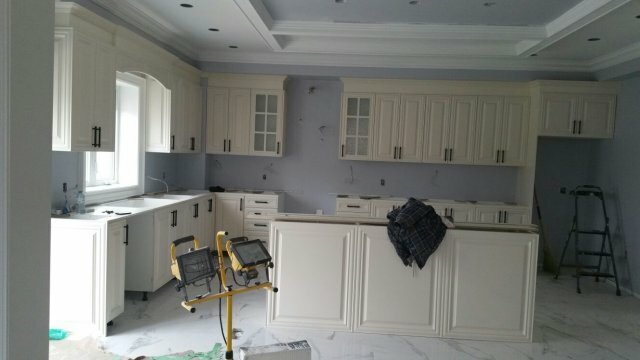 Some of these cabinets are inspired from Victorian or Georgian times. 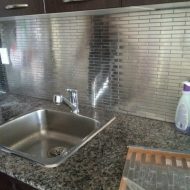 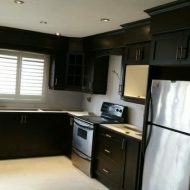 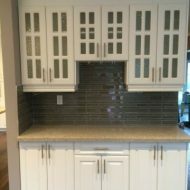 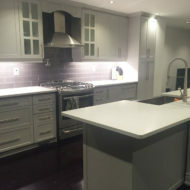 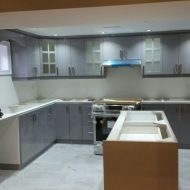 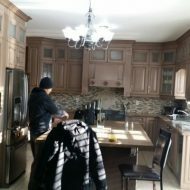 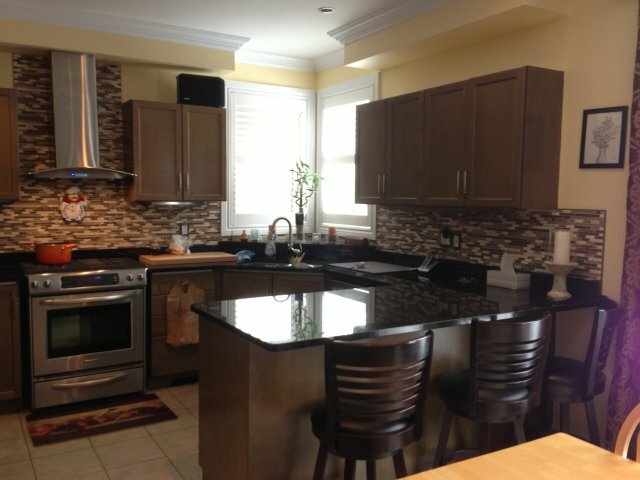 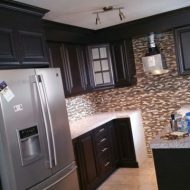 As professionals, we would have several samples and ideas to show you as to how these cabinets would fit into your home. 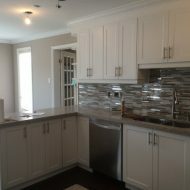 Next, we have the transitional style. 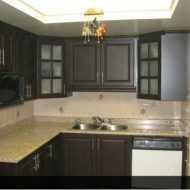 This is a mix between the traditional style and the contemporary style, which will be explained below. 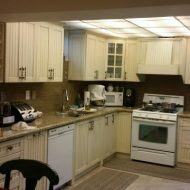 Kitchens in this style would have cabinets attempting to mix man-made and natural. 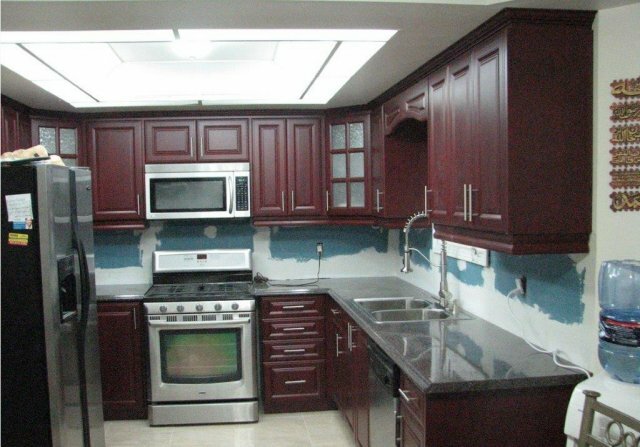 You might have cabinets in their natural wood color, not something painted white, if you were following this design. 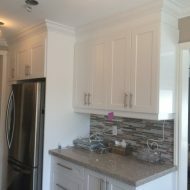 These cabinets would have some decorations but not too many, in an attempt to keep from taking away the natural element. 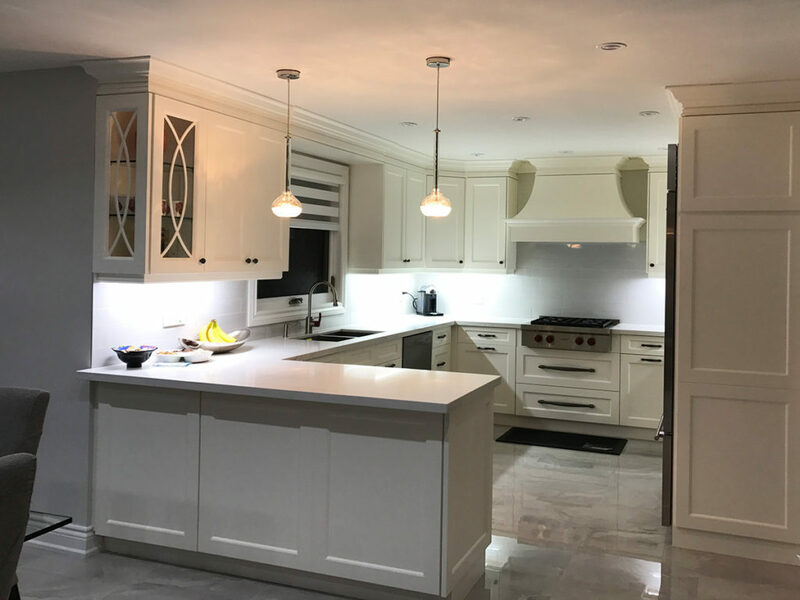 We would recommend this style if you do not want a very modern looking kitchen but something that reminds you of the times back when. 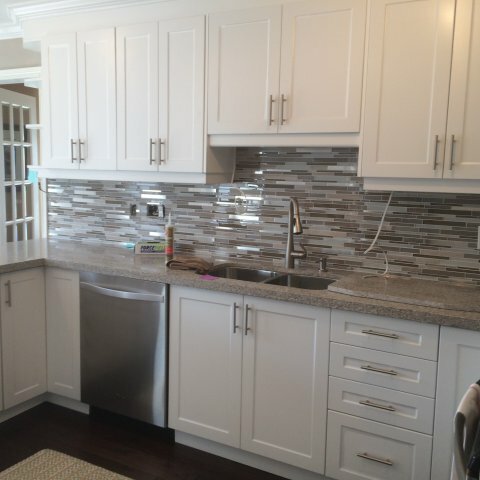 This style could be described as a no-nonsense style. 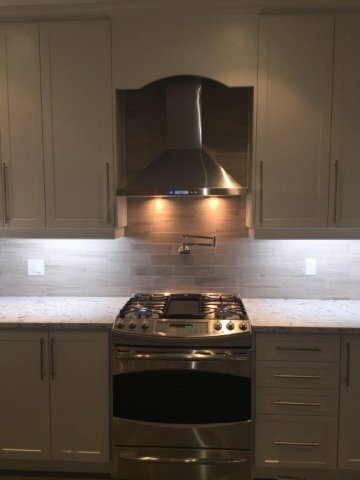 With contemporary style, your kitchen would typically have steel appliances. 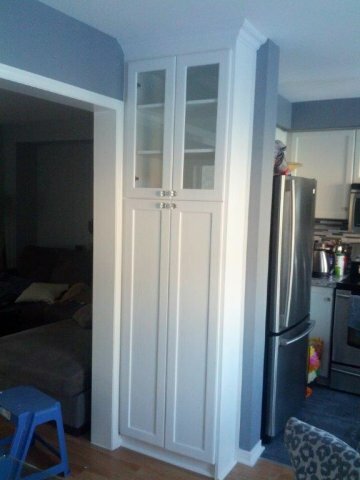 You might have cabinets with glass doors, something that would definitely not be found naturally. 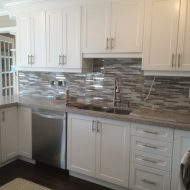 With this style, you would see cabinets that are painted white or a muted color. 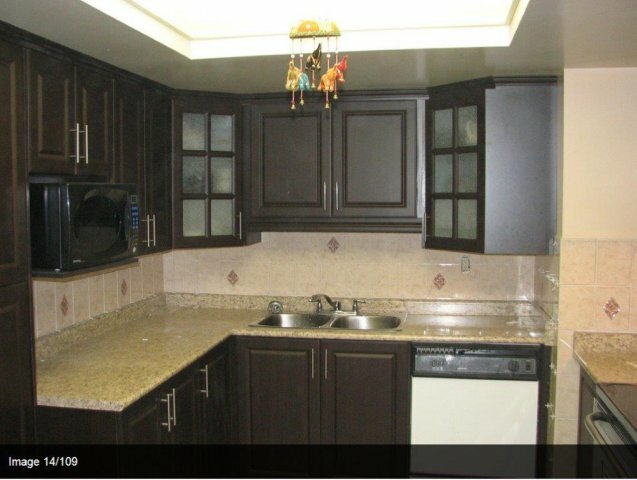 You also might see cabinets made of wood with grains mixed in. 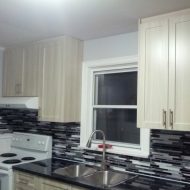 This style is based on ideas from the 1940s and forward. 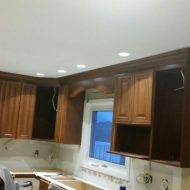 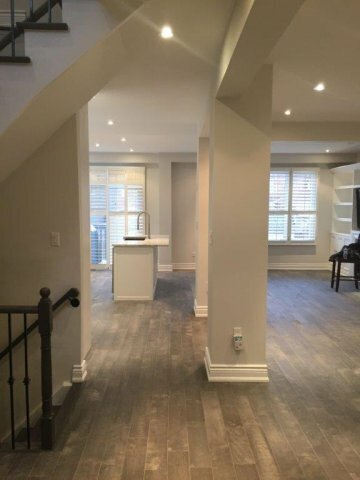 Orange Contracting is experienced in this area and would be able to help you choose colors that would blend well with the rest of your house. 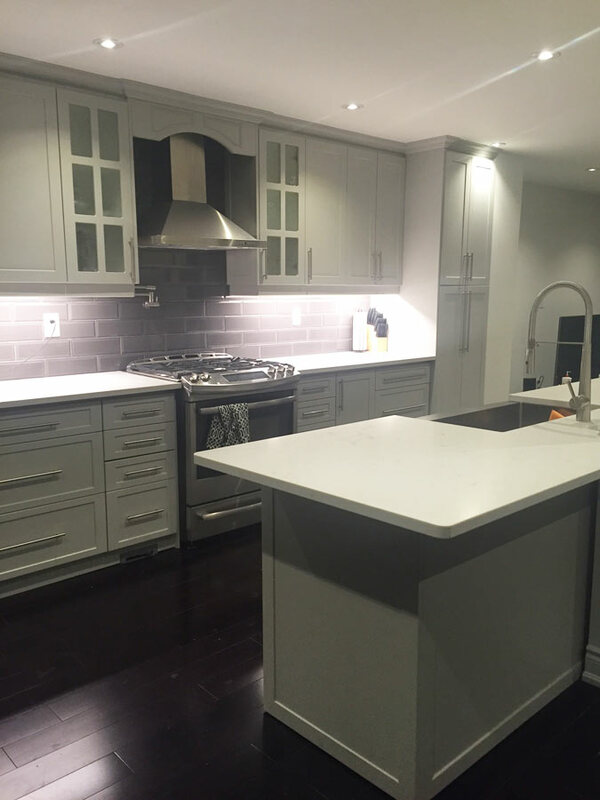 As the name implies, this is the most modern of all the styles. 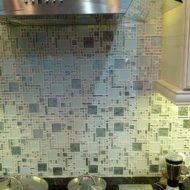 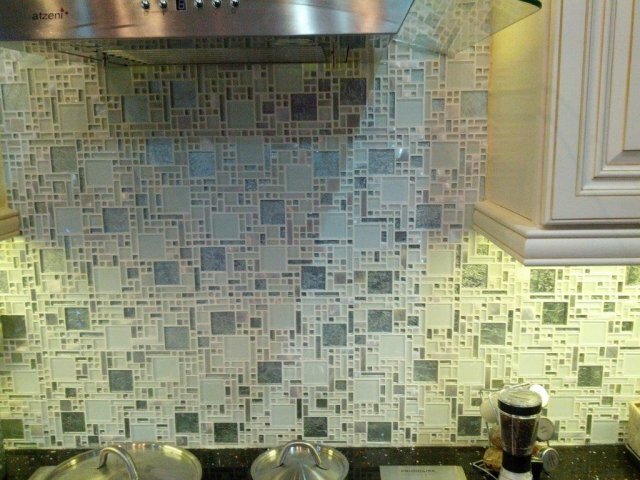 In a modern kitchen, you would find the most recent cooking technology. 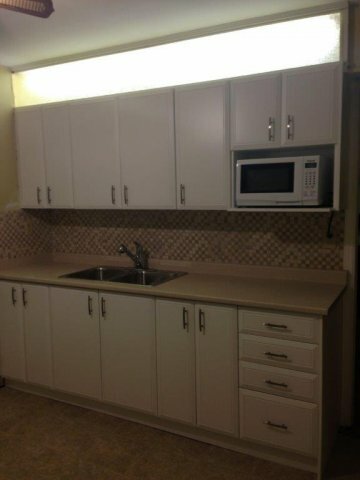 This kitchen will be set up for functionality. 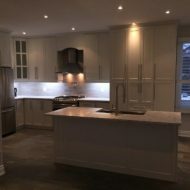 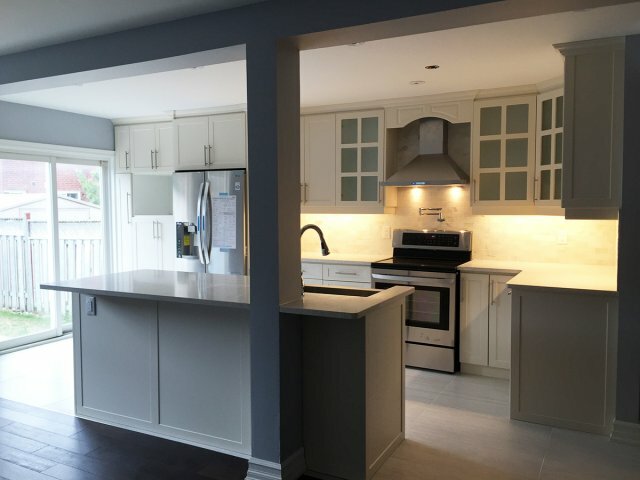 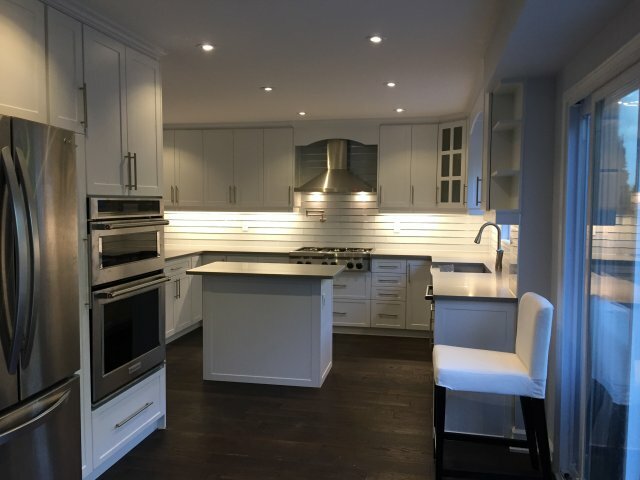 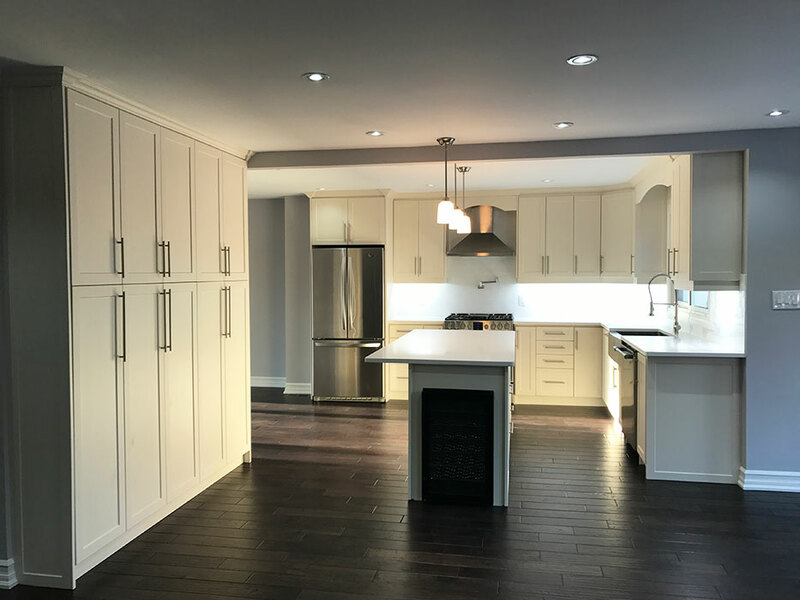 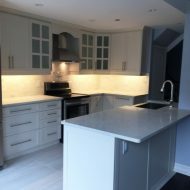 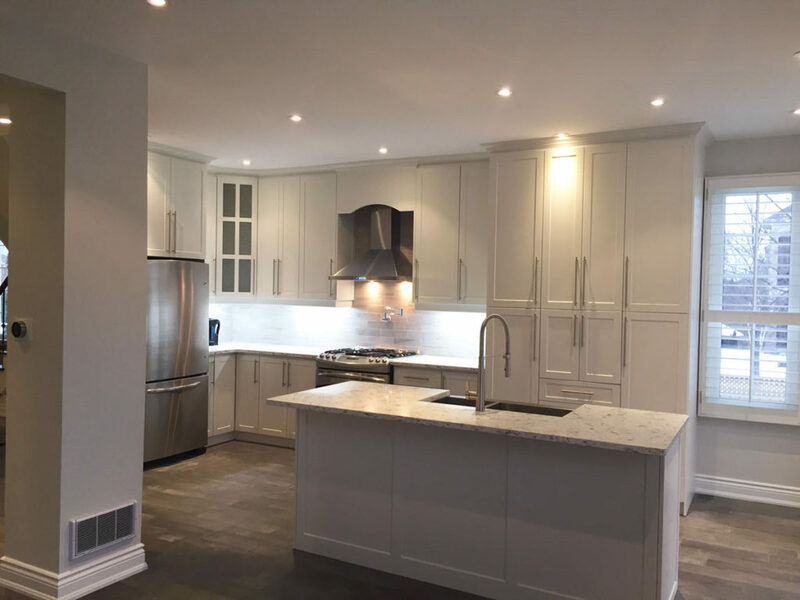 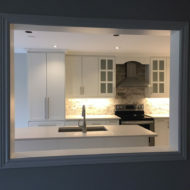 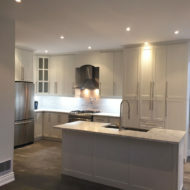 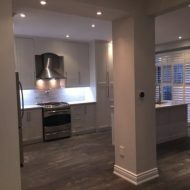 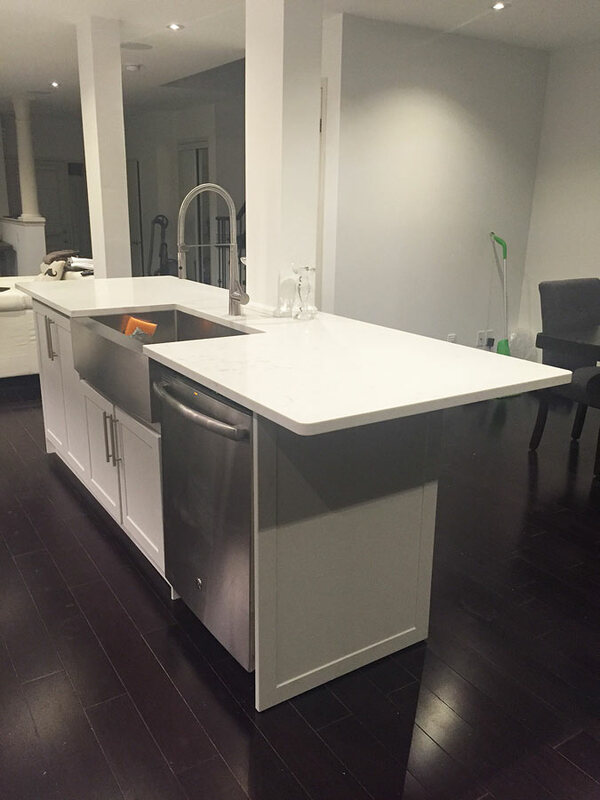 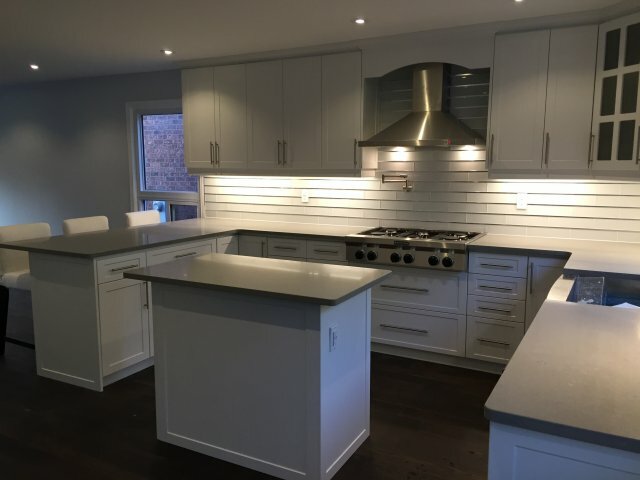 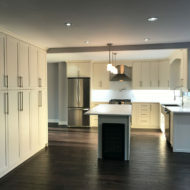 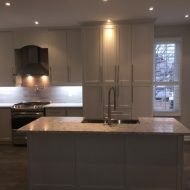 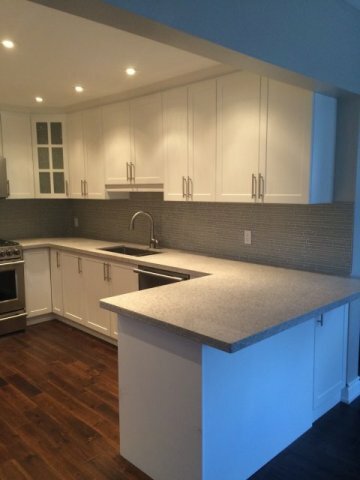 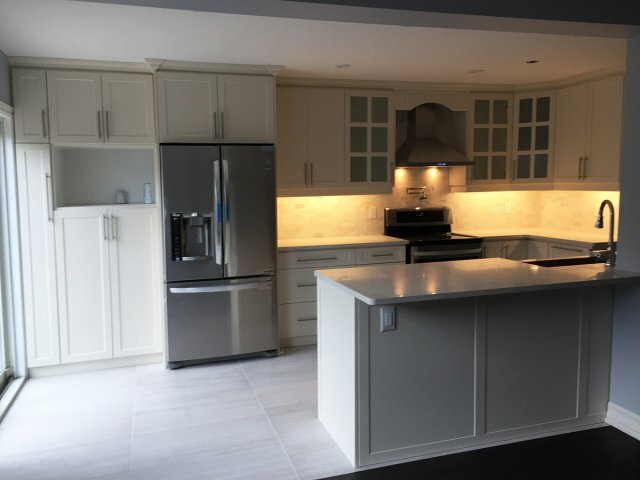 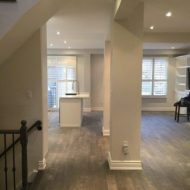 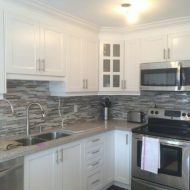 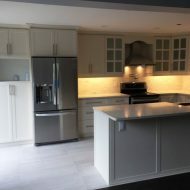 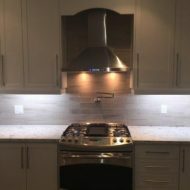 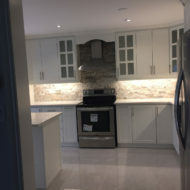 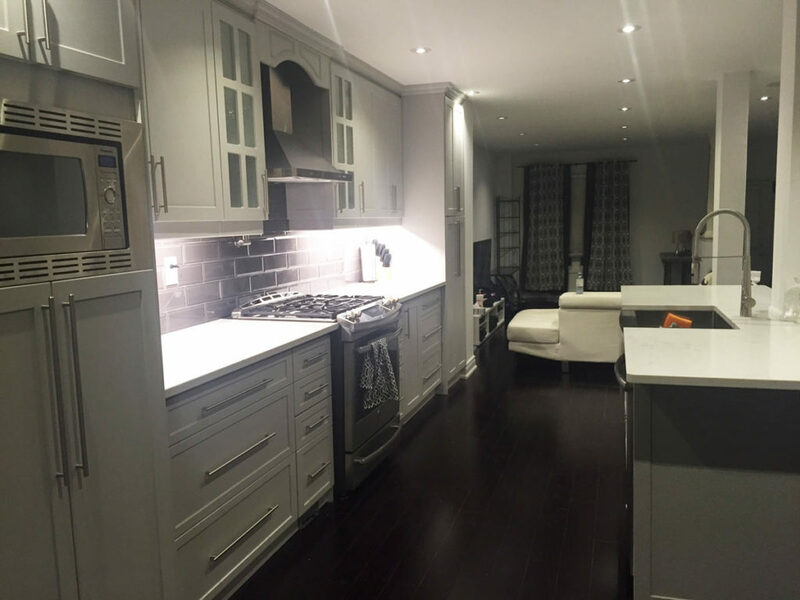 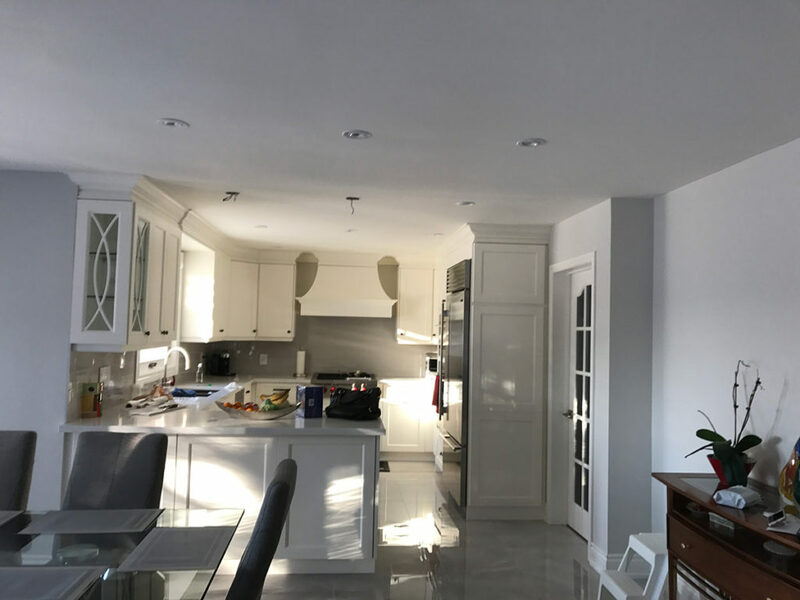 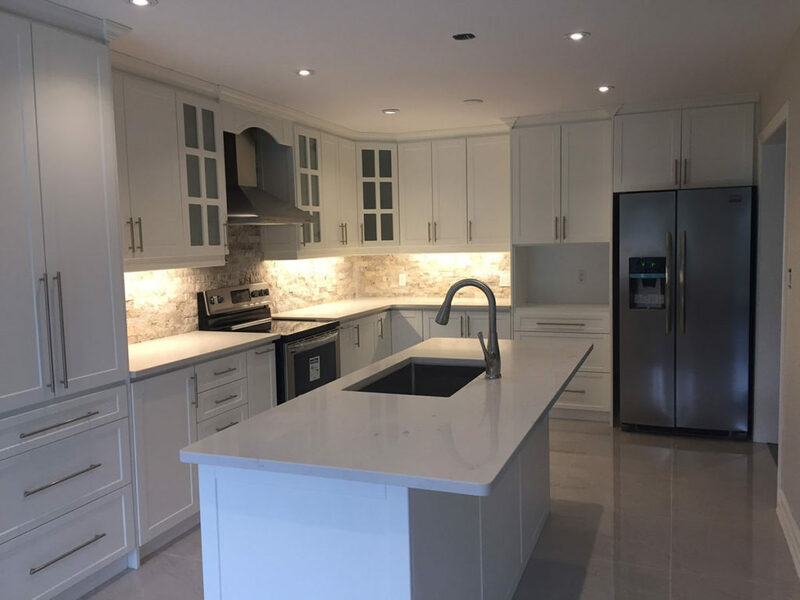 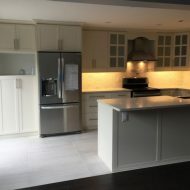 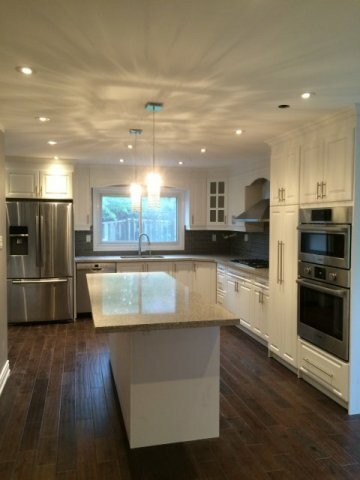 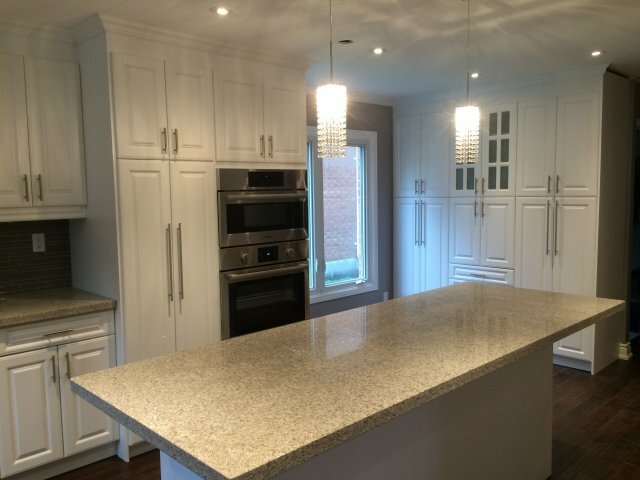 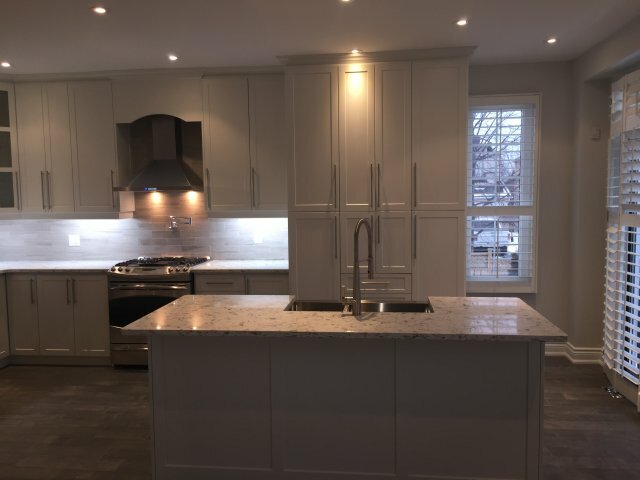 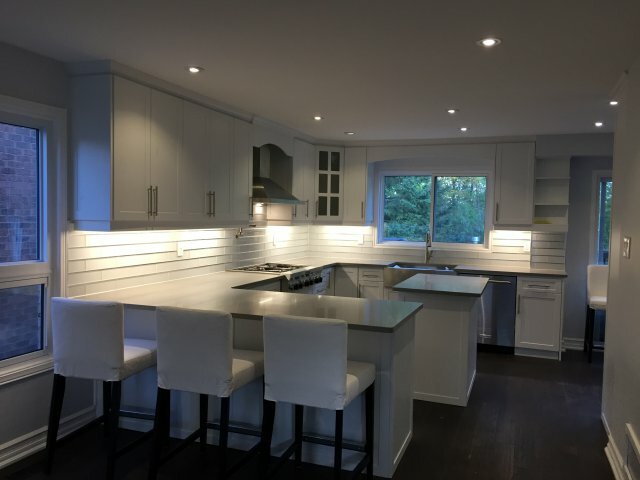 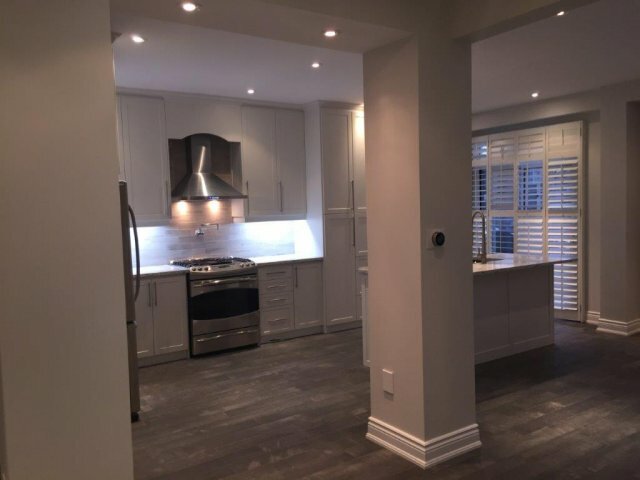 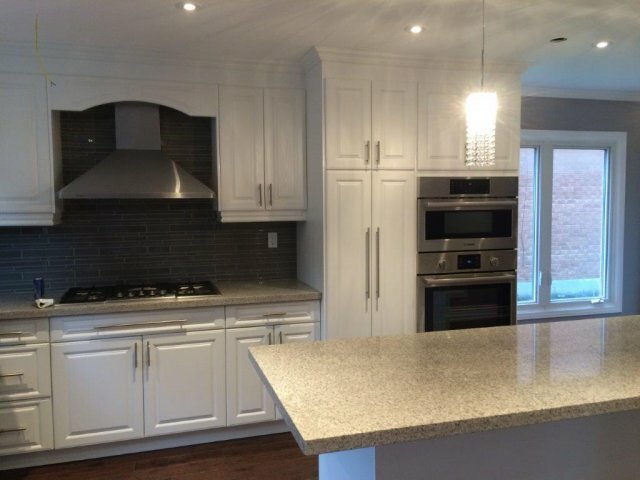 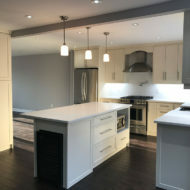 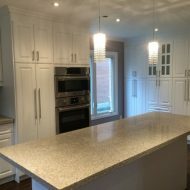 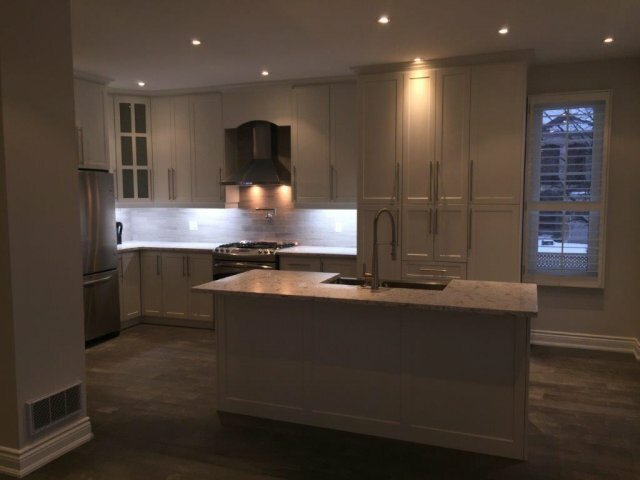 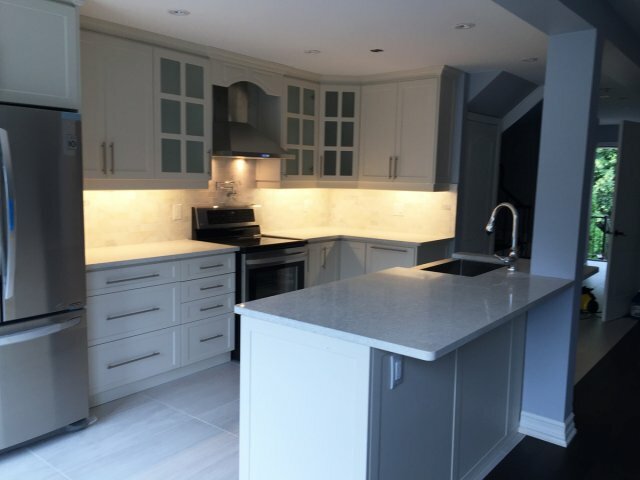 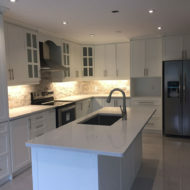 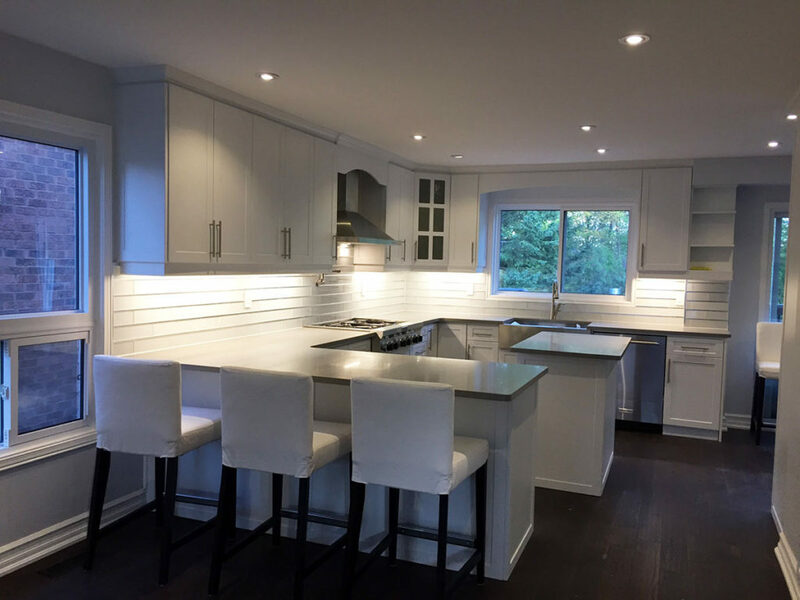 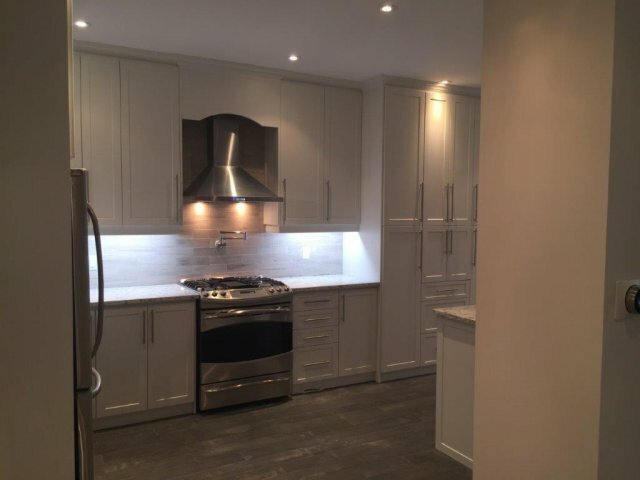 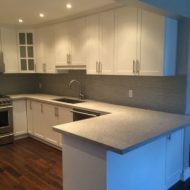 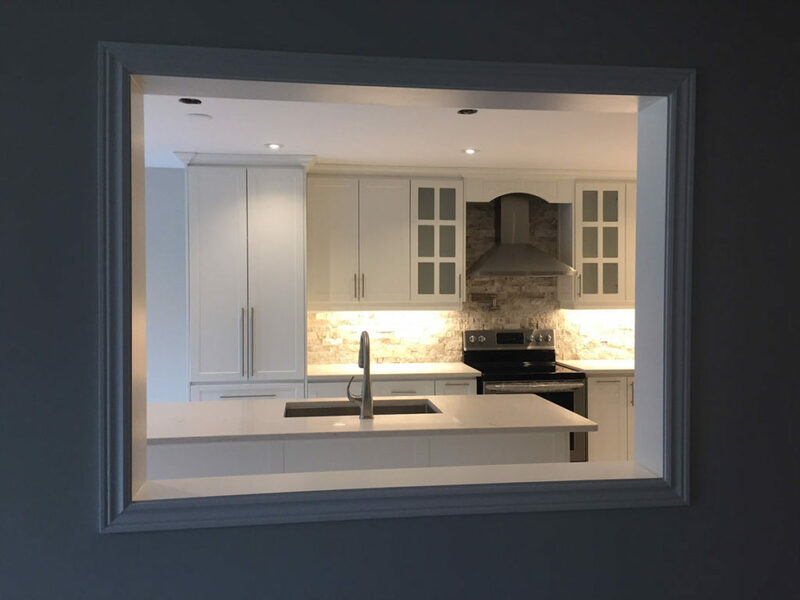 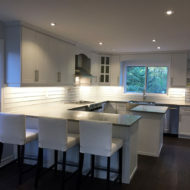 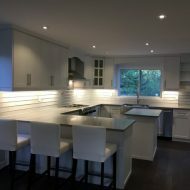 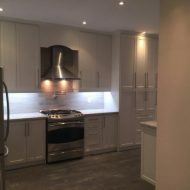 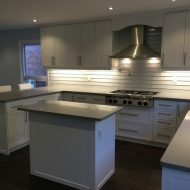 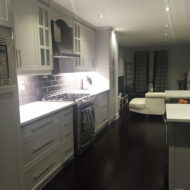 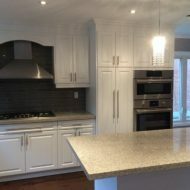 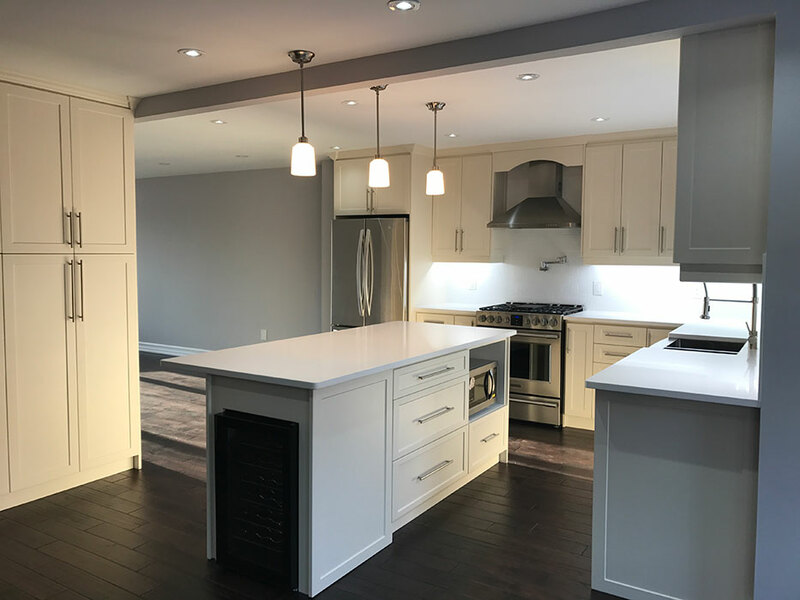 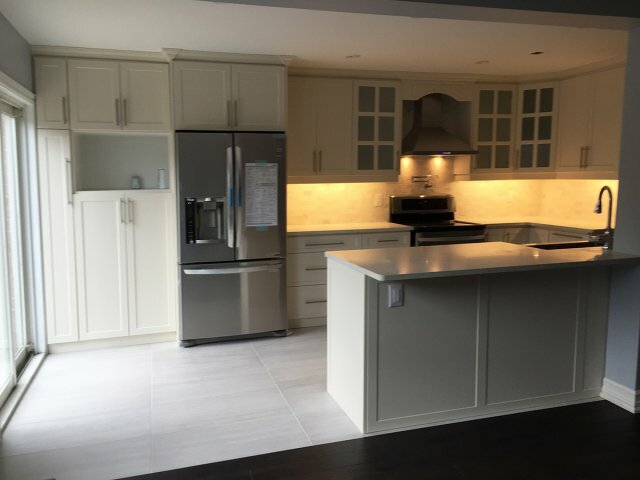 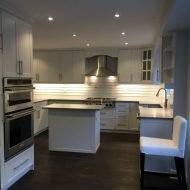 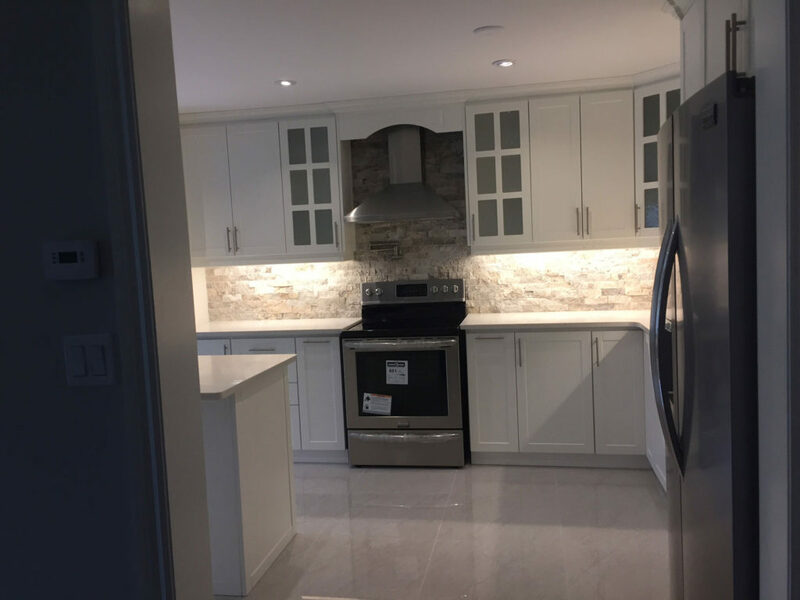 As we design your modern kitchen and work through the renovation, we would plan the layout and cabinetry to match your kitchen’s needs.